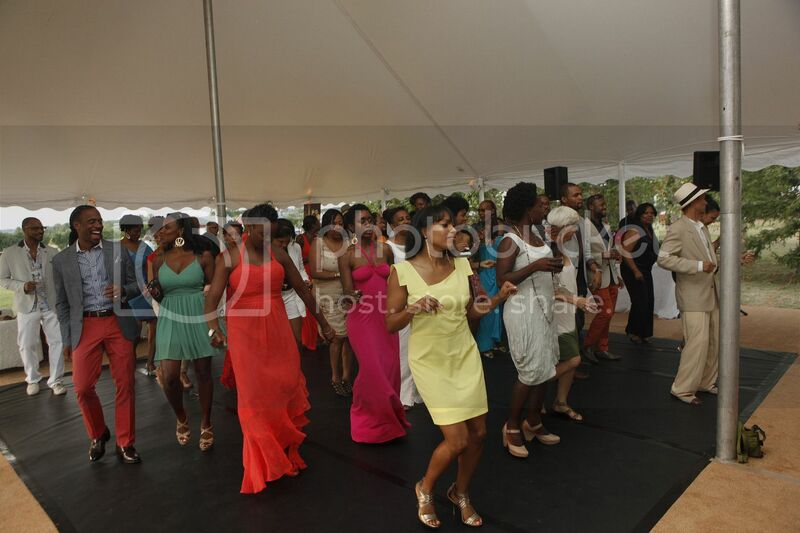 NEW YORK, NY – In its 10th year of showcasing African-American culture in the Hamptons, Evidence, A Dance Company held its annual “On Our Toes” Hamptons Summer Benefit on August 17th, on the sprawling grounds of the Hayground School in Bridgehampton. This year’s summer affair, which has become one of the premier cultural events of the Hamptons social season, raised funds to support the contemporary dance company’s community outreach programs and full benefits for dancers. Evidence, A Dance Company is under the direction of Founder and Artistic Director Ronald K. Brown, the world-renowned choreographer of Tony Award-winning The Gershwins’ Porgy and Bess and 2012 recipient of the Fred and Adele Astaire Award for Outstanding Choreographer in a Broadway show. 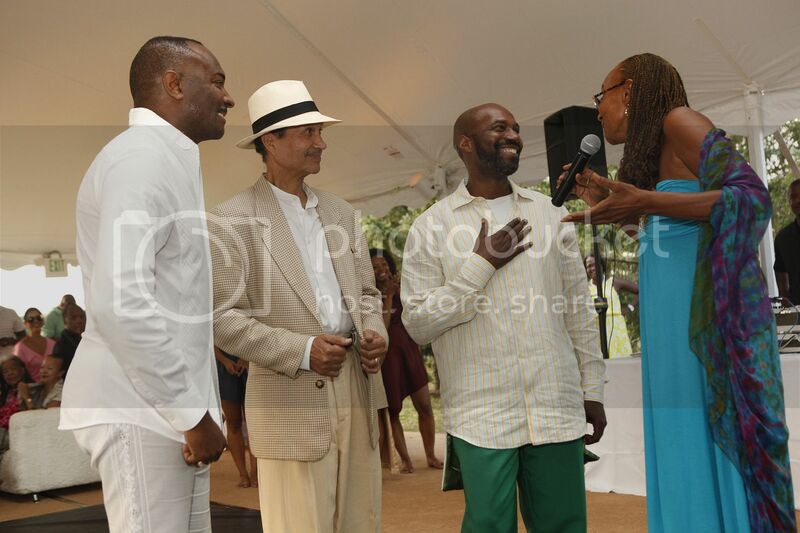 Sag Harbor residents Susan L. Taylor, Editor Emerita of Essence Magazine and founder of National CARES Mentoring Movement, Inc., and her husband Khephra Burns, author, playwright and producer, served as the benefit’s Honorary Chairs. The power couple hosted Evidence’s first summer benefit 10 years ago at Nova’s Ark in Bridgehampton to bring the arts and dance from the African Diaspora to the Hamptons. “I love how they lift up our history, culture and spirit,” effused Taylor about the internationally-acclaimed dance company. More than 200 guests from the arts and entertainment industry and the business community turned out to support the dance company. 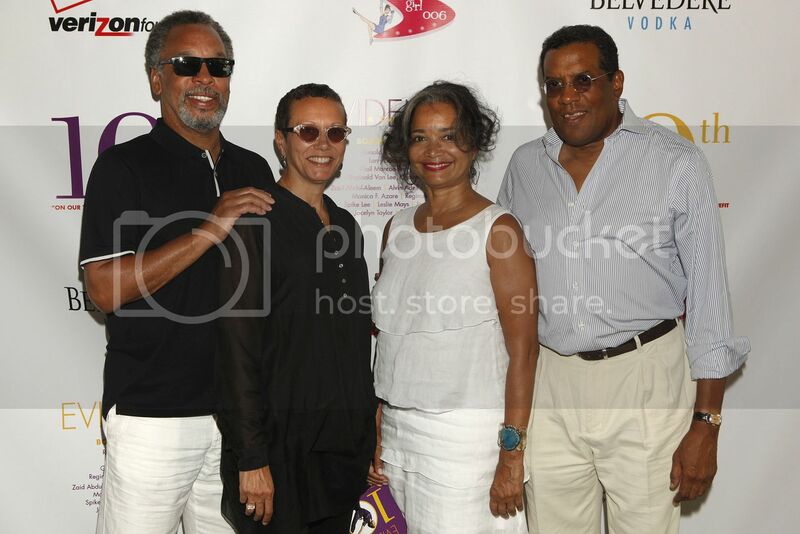 Notable guests in attendance were Evidence chair emeritus Reginald Van Lee; Alvin Ailey dancers Fana Tesfagiorgis and Matthew Rushing; Alicia and Daniel Bythewood; Brie Bythewood; Tawana Tibbs and Bruce Gordon; Peg Alston and Willis Burton; Michael Heningburg and Dr. Jeanine B. Downie; Reginald Canal; Dr. Ancy Verdier; and Donna Williams, among other distinguished guests. During the cocktail hour, guests enjoyed drinks and fine wines courtesy of Moet Hennessy. 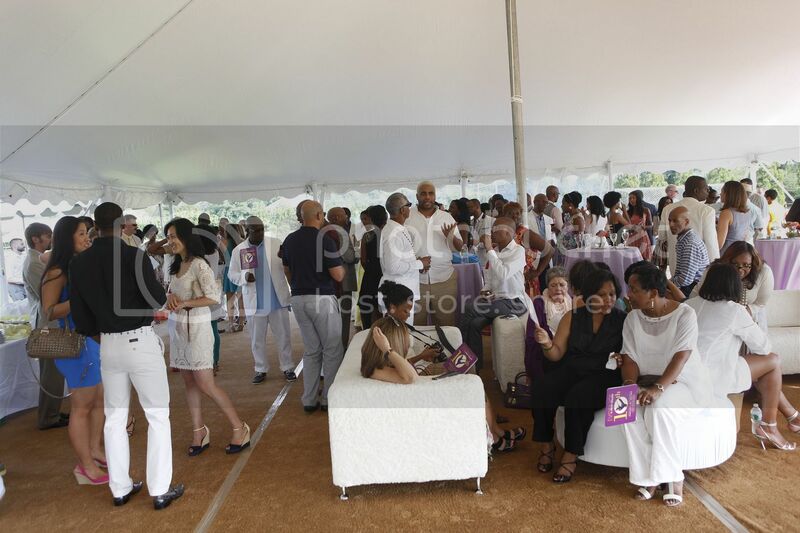 Guests feasted on an array of delectable appetizers catered by Harlem’s famed 5 and Diamond Restaurant, which specializes in modern American foods with a Spanish influence. Following cocktails, guests entered a large tent furnished with white lounge chairs, sofas and high tables for a dance performance, live auction, light dinner, dessert and Evidence’s signature “Dancing with the Dancers.” Gail Monroe-Perry, Evidence’s Board Secretary, opened the summer benefit by welcoming guests and thanking them for supporting the 10th Annual “On Our Toes” event. For entertainment, Broadway's Porgy and Bess star Andrea Jones-Sojola delighted guests with a soul-stirring rendition of the song “Summertime” from Porgy and Bess; and the dance company presented a special performance of HIGH LIFE, which draws striking parallels of the Great Migration in the U.S. by depicting the journeys from the South to the North and from West African villages to the city. 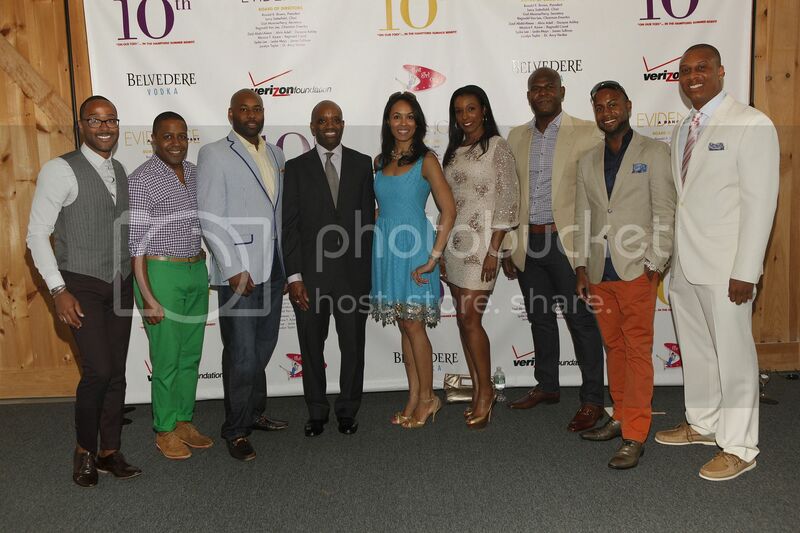 Evidence board member Reginald Canal led a “Bricks and Mortar” that raised $30,000 to support the dance company. A live auction offered bidders an opportunity to win private, luxury villa vacations to Italy and France; VIP sport experiences to the Super Bowl and US Open Tennis; VIP tour of Yankee stadium led by a former World Series Champion player; attendance at the “Salute the Sandman” event with legendary Yankee baseball player Mariano Rivera; and exclusive passes to the final round to the PGA Masters tournament at the Augusta National Golf Club. As the event unfolded, the DJ turned some high-energy tunes that brought both dancers and guests to the dance floor to close out the magical benefit. 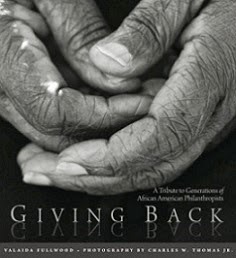 The Benefit Committee included: Larry Satterfield, Board Chair; Gail Monroe-Perry, Secretary; Reginald Van Lee, Chairman Emeritus; Zaid Abdul-Aleem; Alvin Adell; Dwayne Ashley; Monica F. Azare; Reginald Canal; Spike Lee; Leslie Mays; James Sullivan; Jocelyn Taylor; and Dr. Ancy Verdier. 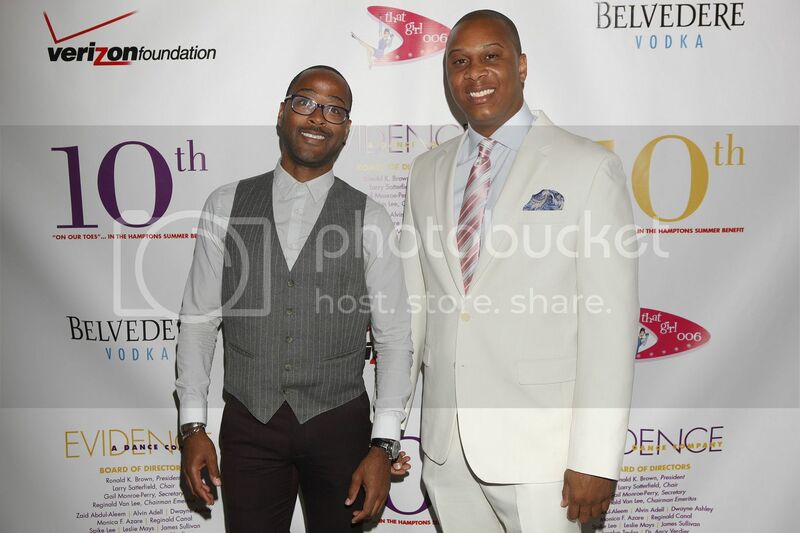 James Nixon and Curtis D. Young were the Young Patrons co-chairs. 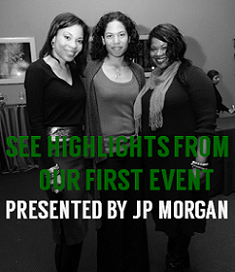 Corporate sponsors were Moet Hennessy and Verizon Foundation. Benefit sponsors were Dr. Alvin Adell; Bloomberg; Susan L. Taylor, National CARES Mentoring Movement, Inc.; and Reginald Van Lee.